Dentistry has changed much during the last 30 years. There have been many advances in the dental treatment and these have been most notably in the dentistry implants field. Dental implants are the safest and most predictable means of replacing missing or damaged teeth. The success of Dental implants has been shown to be higher than 95% of cases. 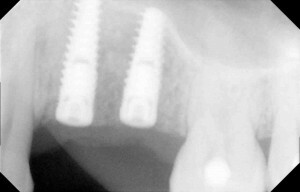 Dental implant are small screws made of titanium which act like an artificial root for a porcelain crown or bridge. Dental implants are placed into the jaw bone. 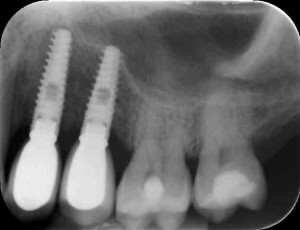 After a suitable haling time the implant fuses with the bone tissue. Dental implants feel and function like natural teeth. The problems associated with Removable dentures have led to the popularity of dental implants rising. Removable dentures are uncomfortable and affect the ability to speak and taste food properly. Dental implants can eliminate the need for dentures all together. The problem still associated with dental implants is price. Like all new technology the prices are still slightly high for it to be considered every day dentistry. Even though the number of dental implants placed each year is rising, the cost of dental implants still limits its growth. The average dentistry implants cost in the UK is around £2000 per tooth. There are some areas where the price is higher than this however newer clinics have started offering more affordable dental implant prices. The Brighton Implant Clinic is one such clinic which offers dental implants at £995 per tooth. This includes the cost of the implant, the abutment and the final porcelain crown. 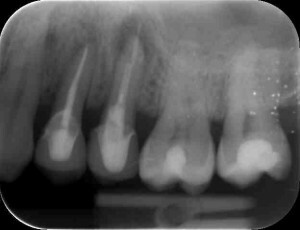 If you are needing more than one implant the cost will be even lower then this per tooth. Dental implants have been shown to last for as long as 25 years and in some cases they are lasting even longer than this. For more information about Dentistry Implants Cost please feel free to Contact Brighton Implant Clinic or Call us on 0800 111 6623.